3 days later we ate some. Strawberries being the best. The children listened to Grandma's Dreamcatcher. This book is about a young girl who stays with her Chippewa grandmother and learns about dreamcatchers. Once done they filled out a G.O. chart where we focussed on the difference between a WANT, NEED and DREAM. 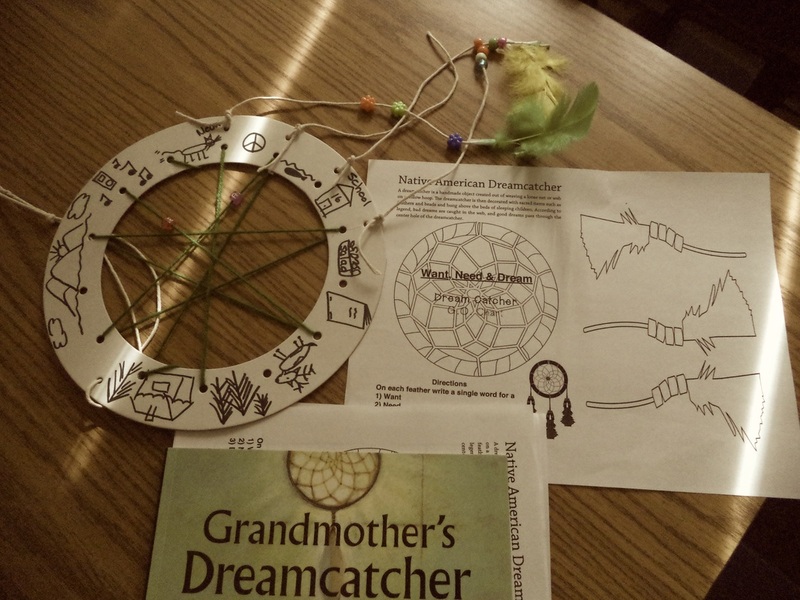 We also looked at Native American Pictographs and added our own to our dreamcatchers. After the children finish their dreamcatchers they will began a writing assignment describing it and if they think theirs will work. We began our journey in Spain and sailed to the "New World" with Columbus and the Pilgrims. I have a large collection of Who Was and What Was non fiction books that I read aloud to make US history more accessible to the children. After each daily read aloud session and discussion, we complete a GO chart ( Graphic Organizer) together and the children blog/respond to the readings. AR quizzes follow when the book is complete. Many of our daily songs are also about this content area. What Was the 1st Thanksgiving? We begin our US map study unit .